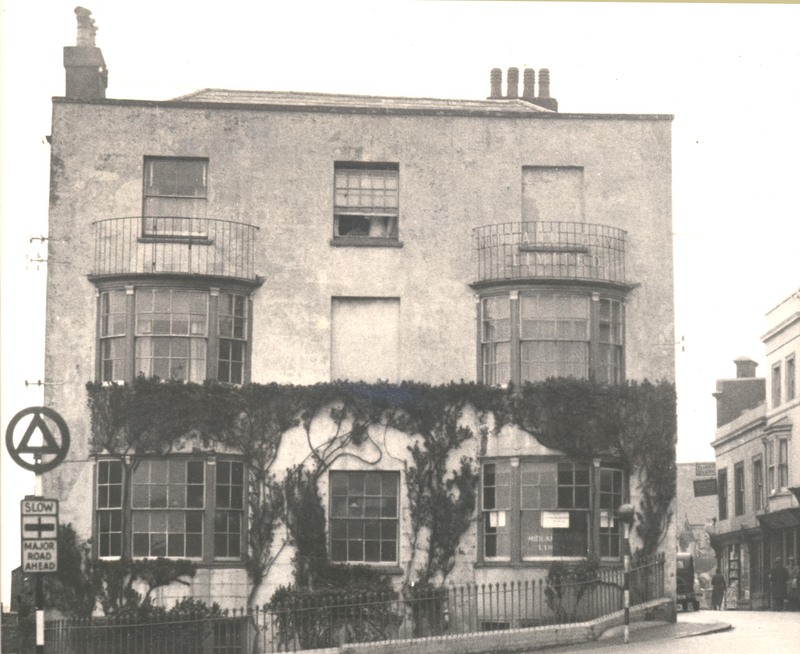 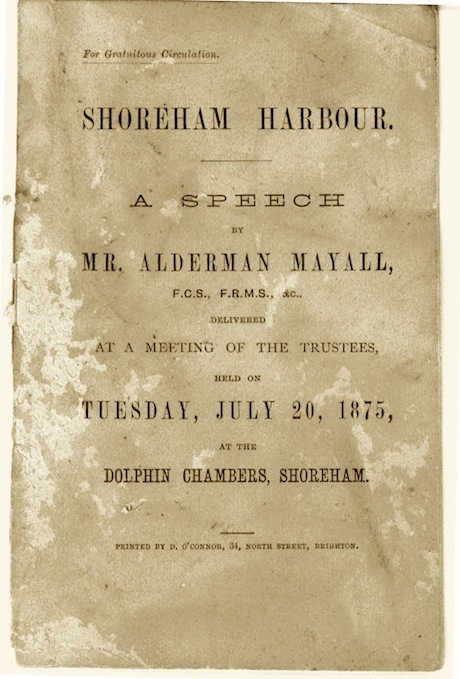 On Tuesday July 20th 1875, Alderman Mayall, having been appointed by the Brighton Corporation to be one of the trustees of the Shoreham Harbour Board, gave a speech at a meeting of the trustees at the Dolphin Chambers, Shoreham, where he laid out his plan to get a new bill passed through Government to allow the port greater borrowing powers in order to make the most of Shoreham Harbour’s potential. 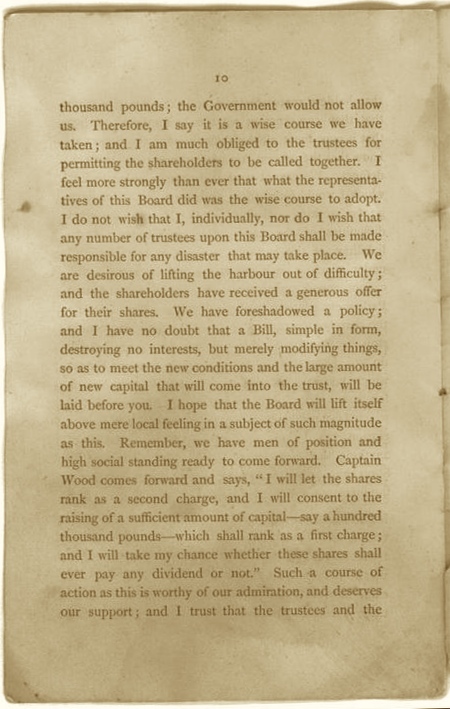 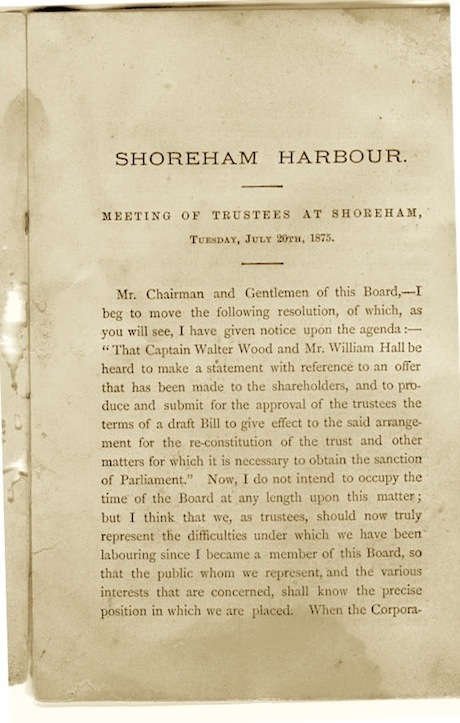 In the speech, he proposes that Captain Walter Wood, and Mr William Hall, be heard to make statements regarding an offer that had been made to the shareholders, and submit a draft Bill for the reconstitution of the trust, which would need the sanction of Government. 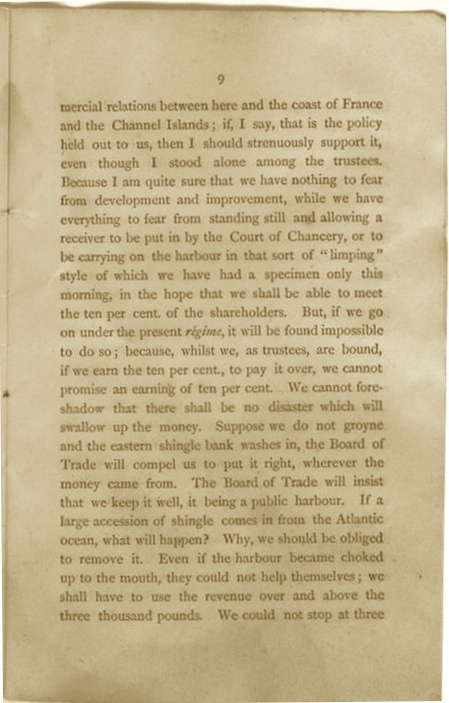 In this address, Mayall goes on to explain why they needed to go to Parliament to have a new bill passed to obtain greater borrowing powers for a necessary improvement of the harbour, and how the existing financial limit of £3000 a year was woefully inadequate. 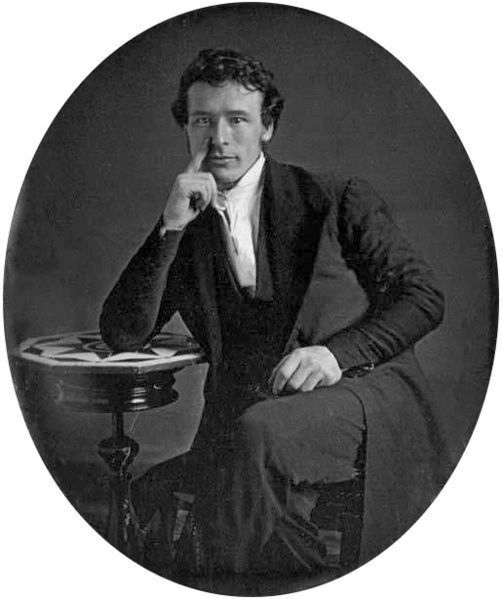 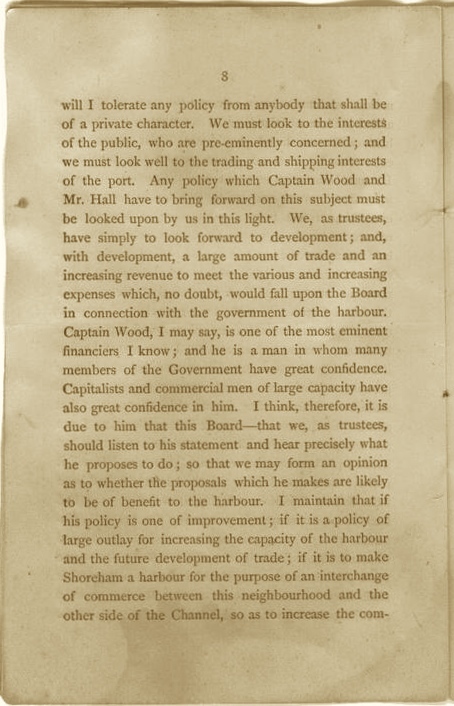 To make this happen, the shareholders would have to be bought out, which was where Captain Wood came in, having already helped underwrite Milford Haven Docks work, his name stood on the Bill as promoter of the Milford Haven Improvement Bill of 1874, an operation that had already cost half a million sterling at that time. 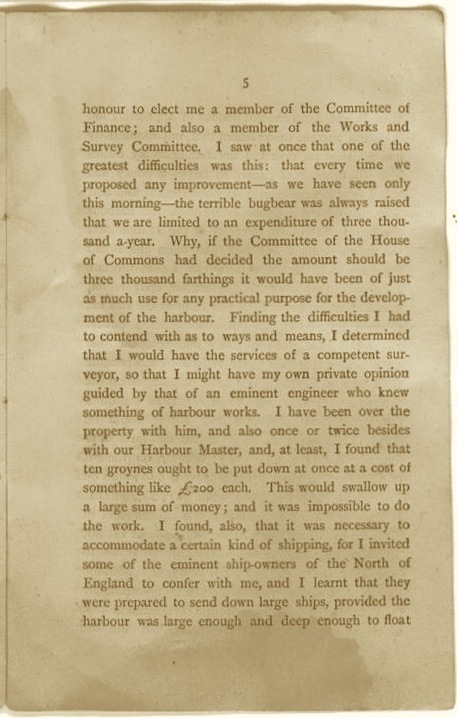 Alderman Mayall had also sought the guidance of an ’eminent engineer who knew something of harbour works’, and the Harbour Master, to determine what was immediately required. 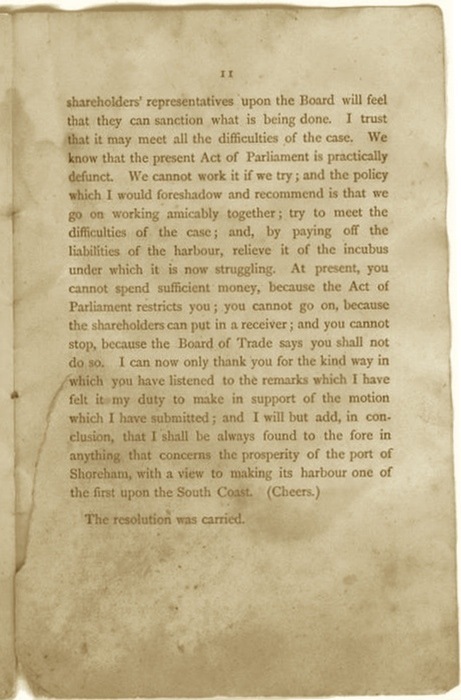 He even conferred with ship owners from the north, to find what would encourage them to send their ships to Shoreham. 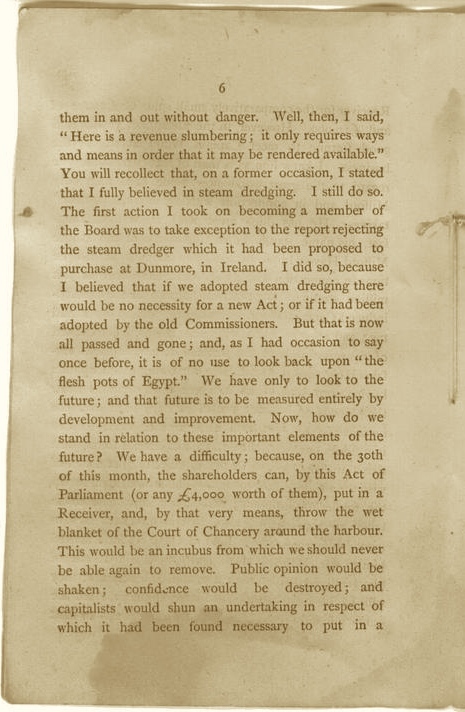 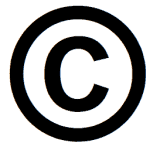 With all the available information at his hands, he deduced that, ‘Here is a revenue slumbering, it only requires ways and means in order that it may be rendered available’. 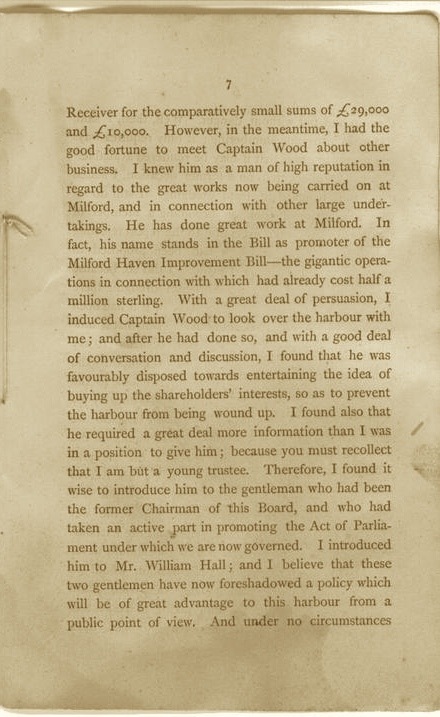 Having enlisted the help of Captain Wood, the Alderman decided it necessary to introduce him to the former Chairman of the Harbour Board, Mr William Hall, he states, ‘I believe these two gentlemen have now foreshadowed a policy which will be of great advantage to this harbour from a public point of view. 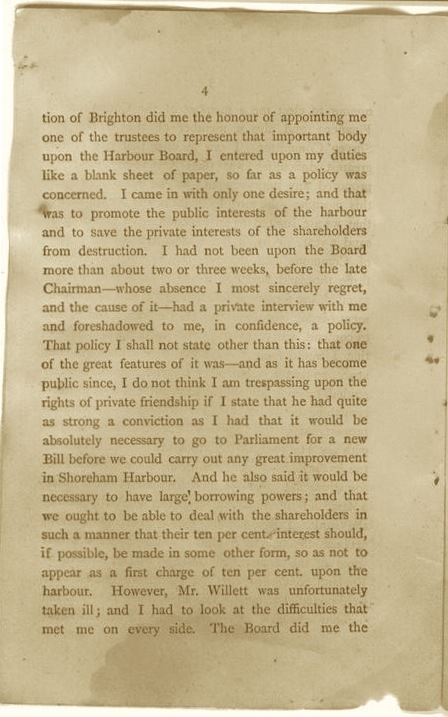 And under no circumstances will I tolerate any policy from anybody that shall be of a private character, We must look to the interests of the public, who are pre-eminently concerned; and we must look well to the trading and shipping interests of the port’.